The most important part of Guided Reading is giving children time to read and problem solve on their own with instructional level text. While the children are reading at their own pace, you are listening in and supporting one reader at a time. Giving readers the chance to read the text on their own gives them the opportunity to use the tools and skills they have been taught. 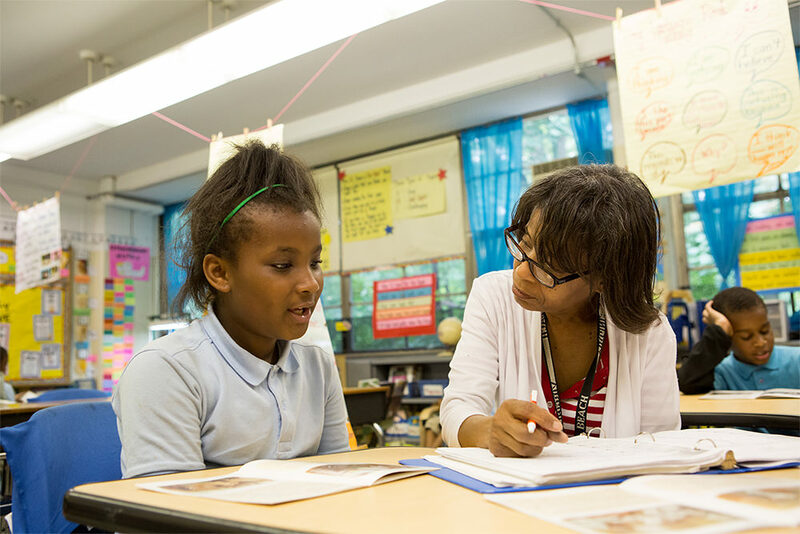 Observing and coaching children while they are reading allows for precise, “on the fly,” responsive teaching that meets readers where they are. This kind of brief conference provides the perfect opportunity to take notes to inform future planning. Early, transitional and fluent readers read at their own pace and to themselves. Teach early readers how to whisper read quietly or into whisper phones. Children begin to read silently at around level I. Read A and B level books chorally with emergent readers. Encourage children to try the skill or strategy you demonstrated only if they need to. If they are able to problem solve in other ways, that’s fine too. Take some time to observe what a child is doing before jumping in to work with them. This will give you valuable information about the skills the reader has. Give children time and space to problem solve on their own. When a child makes an error, wait to see what happens before jumping to their rescue. Do they stop on their own? What strategies do they use to self-correct? Are they monitoring their own understanding? Record your observations and what you worked on with each child as you are working with them. Keep your notes handy for planning or for the next time you conference or work with the child. Try to touch base with each child in the group during reading. How much time you spend with each child will be different depending on what each child needs that day. You might just be quickly listening to a child read, providing some quick affirmation, and moving on. Sometimes, you may have a lengthier conference with two or three children and quick check-ins with the others. Give children time to read before correcting or teaching too quickly. Don’t stop and make your teaching point at the first error they make or hesitation they have. Let them read a bit and give them wait time. Let them feel successful. You can gather a lot of information on your readers from close observation. When you listen in and observe, look for children’s overt and subtle reading behaviors. Are they tracking the words with their finger or eyes? Are they moving their lips as they read? Which of your readers are reacting to the books and seem “lost in the story?” Spend 20 seconds observing a child read. Write down what you see, hear and notice. As you work with children, take notes on what the readers are doing well and where they need support. Record your observations in a notebook or recording sheet in your binder. Also take the time to write down what you say and do with the children as you are coaching them. Note if you taught them a new skill or strategy, affirmed what they were already doing to problem solve, or prompted them to take action. Use your anecdotal notes to plan future lessons with a child or group of children. These notes are also an important record of a child’s reading progress. Remember, you don’t need to do a “formal” reading assessment to move a child’s reading level. Your informed observations are enough. 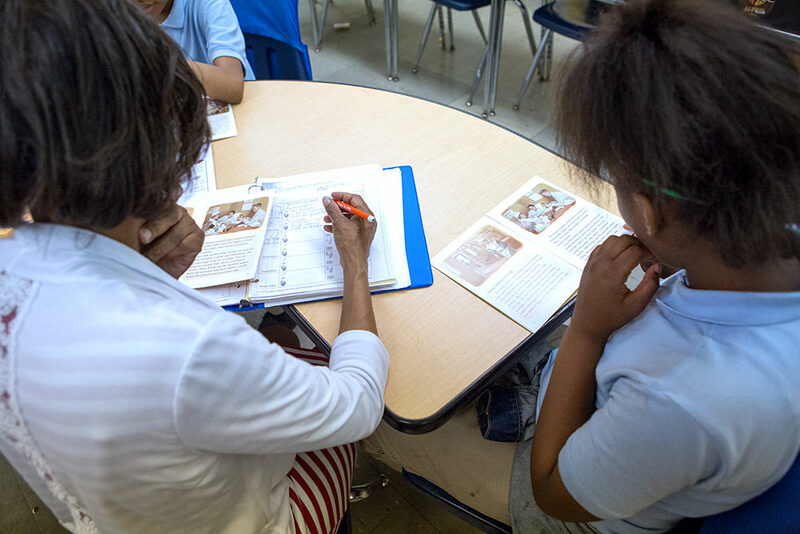 Use this resource to take notes while working with a Guided Reading Group. Use this resource to take notes on a child's reading behaviors over time. Use consistent language. Use the same words over and over so the behaviors become predictable and routine to children. If you say the same thing in all different ways, children need to take time to process what you are encouraging them to do and then respond. Stick with the same language to refer to the skills, behaviors, and strategies you are teaching. Use the same language that you are using in whole class lessons and on anchor charts. affirm something you want them to keep doing. Empower readers. Think about language you can use to empower children to try things on their own. Unlike just giving children the answers, when you prompt you help children use skills and strategies independently. Use these prompts as you are working with individual children. Use this resource for ideas on different levels of support you can give to children as they read.